[Originally published on July 24th, 2012](The final installment of the 3 part series.) One of my favorite accounts in Shrimad Bhagavatam is Narada’s sharing of his previous life with Vyasadeva in the first Canto. This volume was all of the SB that was published when I became a devotee, and I have read it more than any other passage. Still, even with whole 12 Cantos of SB in print, I still find this story very inspiring. I like biographies anyway, and “coming to Krishna” stories are especially interesting and relevant to sadhakas (practicing devotees of Krishna). Although Narada is an eternally perfected devotee, he still has this aspect of his life as a way to teach us about the essential importance of Vaishnava blessings and association to jump start our spiritual lives. Narada embarks on the pilgrim’s journey to attain spiritual perfection, and he seems like one of us as he faces a personal tragedy which catapults him toward Krishna. We read how he depended on Krishna in all circumstances and was not independent in his endeavor to successfully meditate, but had to abide by Krishna’s timing for perfection. We read in 7th Canto of the Bhagavatam that when Narada was a celestial Gandharva, he committed offenses to the deva’s (demigods) in heaven, and was thus cursed to take birth as an ordinary maidservant’s son on the Earth—and yet, as is typical of devotee curses, this so-called “curse” was a benediction of inestimable value as we shall see. As a maidservant’s son, Narada and his mother once had the opportunity to serve great devotees as they remained in the area during the four months of the rainy season. Although a young boy, Narada had a favorable disposition for taking advantage of such good association and not being distracted by childish propensities—which was in itself very good fortune. In such spiritual company, Narada found his interest in, and taste for, spiritual topics increase as a result of this service (Vaishnava seva), and being blessed by the sages (Vaishnava kripa) in various ways. 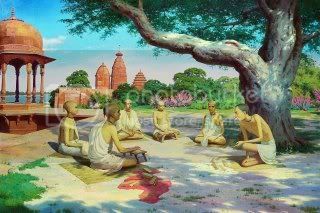 He developed strong faith in those sages and became spiritually advanced. The sages reciprocated with Narada’s developed spiritual standing by giving him confidential knowledge about Krishna and His devotional service. 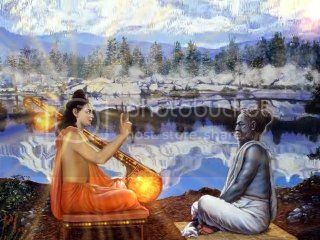 Even though the sages had to move on, their influence remained deep in Narada’s heart. As if to demonstrate this, the Lord arranged what would appear to most people as a great personal calamity. Narada’s mother, who was solely involved in his care and maintenance, was bitten by a snake when she went to milk a cow, and died shortly. Here is how Narada responded, “I took this as the special mercy of the Lord, who always desires benediction for His devotees, and so thinking, I started for the north.” [SB 1.6.10] Such a mature and realized perspective is not usually attained until after years of spiritual practice. Just see the power of sadhu sanga and seva (saintly association and service). After leaving his former home Narada roamed the country side like a renounced monk, and experienced all varieties of Krishna’s creation, from flourishing towns to remote and fearful forests. Finally, he was inspired in a certain forest under a banyan tree to meditate on the Supersoul in his heart, as he had learned from the sages. And to his great happiness, he was soon successful in seeing the Lord. In great love he shed tears of ecstasy, and felt completely enlivened. His heart was satisfied and all mental incongruities vanished. But alas, it was not meant at this time to be permanent, but was given to him only to encourage his further spiritual practice. He tried again and again to regain his vision of the Lord, but discovered that such visions are mercy bestowed, and don’t arise by merely making a mental attempt. There are so many lessons to imbibe from Narada’s previous lives, and let us pray to do so! We learn of the danger of Vaishnava aparadha, or offenses to devotees that forestall our spiritual progress, but which Krishna may use to help us, in spite of ourselves. Devotees are always merciful, even when they curse, and Krishna never forgets our service—otherwise there would be no way out of the material world. Narada teaches us in the last sentence how to live our lives practicing bhakti as we only gradually make spiritual progress. We are totally dependent on Krishna’s mercy, though we have to endeavor for Krishna to our best ability, while not becoming despondent or discouraged. As the saying goes, we should serve God as if everything depends on us, while knowing that our success is totally dependent on Krishna’s mercy. Krishna carries what we lack, and preserves what we have. 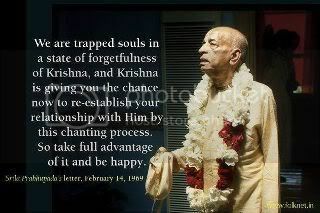 As Shrila Prabhupada often shared, we have to come to accept and practice that we—the soul—don’t have any material designation, but are Krishna’s, and in the advanced stage we will feel that “Krishna is mine!” Real spiritual life means total dependence on Krishna with the realization that we are never independent of God. We are his eternal servant and spiritual part. This is our nature and eternal happiness. 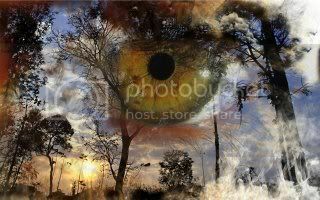 Submitted by Jogintas on Wed, 2012-07-25 13:28. This blog, is something I can reflect on. Not a long time ago, I have renounced one pointless daily activity (playing computer games) and decided to get out of the bed in the mornings, before the sunrise (It's more a than year how am I trying to wake up early, though). I started praying (well, mostly praying when offering my breakfast) and chanting daily, maybe not that much, but - everyday. What fueled these positive changes is my need for finding my path in my current life, as in, what's the best job for me, in what activities I should emerge the most, etc., finding the position you're suited the best for is both good for the people around you and your own spiritual life, which is why I find this important, because I have no idea what should I do for my living; time is running up and I only have one upcoming year of school left. But what's more important, is that I must be prapared for whatever outcames that are going to come, whether good or bad. I must not get discouraged to move on by the bad or spoilt by the good. Bowing down to Krsna in every situation is necessary to maintain a calm psyche. Well, either way, the most important thing for me is already found - Krsna. All that's left is to "serve God as if everything depends on me, while knowing that my success is totally dependent on Krishna’s mercy." May Krsna Prema spring from within you! Submitted by Karnamrita on Tue, 2012-07-24 20:26.